Patan Museum was inaugurated by late King Birendra Bir Bikram Shah. Again a site under the UNESCO’s World Heritage Sites, The Patan Museum is one of the main sources to Nepal’s cultural history. 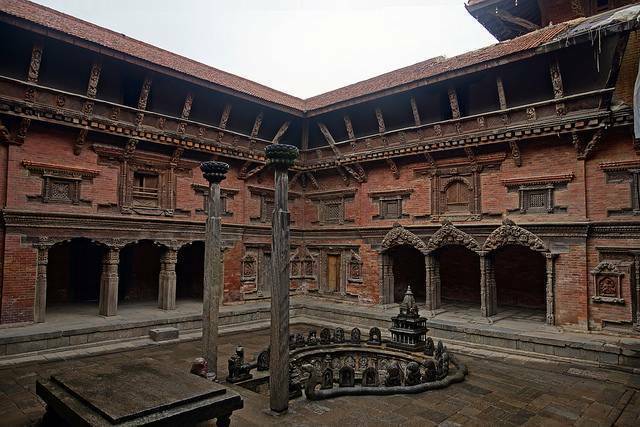 Patan Museum is located in the northernmost direction of the Patan Durbar Square and is one of the highlights of Newari culture. It is the first public museum of Nepal. The museum has definitely helped in the dissemination of Buddhist knowledge and culture. One can definitely find some rare objects made of bronze and glit copper here. It also has some old art and crafts of Patan (then called ‘Lalitpur’). The museum also contains some amazing collections of demonstrations of Hindu deities. Well it can be clearly said that this museum showcases a mixture of both Nepali and Hindu culture. There is now a café inside the museum where one can sit, relax and also have some snacks.